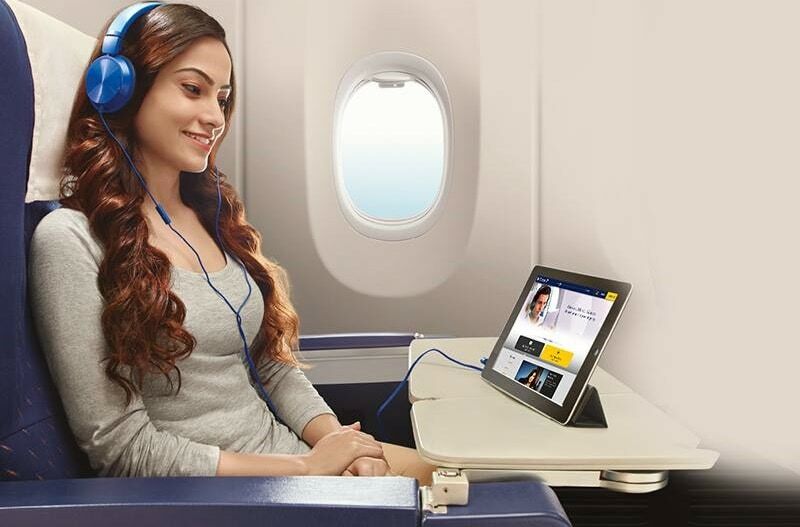 Jet Airways on Friday launched an in-flight entertainment service under the ‘JetScreen’ label that allows fliers to stream 220 hours of digital content on smartphones, tablets or laptops for free. The airline claims the service is a first in the industry for domestic carriers and comes close on the heels of the civil aviation ministry hinting at allowing onboard Wi-Fi access. “As of today, JetScreen is live on six of our 75 narrow-body aircraft, and we hope to introduce the facility on all our planes (narrow-body) by March. These facilities are available on two of our Delhi-Mumbai flights, apart from one each on the Delhi-Bangkok and Delhi-Lucknow sectors and two in the Southern sectors,” Jet senior vice-president for sales & marketing, Colin Neubronner, told reporters in Mumbai. It can be noted that Vistara had such a facility in the beginning on one of its planes. But it was offering this using their own devices. Earlier, the now-grounded Kingfisher Airlines was the first to offer onboard entertainment on fixed screens on the domestic flights. It was later emulated by national carrier Air India but discontinued for long now, though the screens are still on the planes. Without disclosing the quantum of investment, Neubronner said the company has invested heavily into the service by way of hardware and content licensing but will not charge the passengers for using the facility. “It’s part of our service and delivers on our commitment to offer enhanced full-service experience to our guests,” he quipped and said the airline has no immediate plans to monetise it. JetScreen uses an onboard wireless streaming technology, licensed from the American company Global Eagle Entertainment, which is a global leader in media content and offers 220 hours of media library including movies, television shows, music and games apart from a special offering for the kids under the JetKids label, he said. Neubronner said the initial focus is on domestic flights as the airline already offers in-flight entertainment on fixed screens on its international flights using the wide-body planes, except on the short haul sectors like the Saarc and Gulf region, where the airline deploys narrow-body aircraft. All that a passenger has to do is download the ‘Airtime Player’ app, available for free in all major app stores, on their Wi-Fi enabled personal devices to access the full content while some of the content do not need even this, he said. When asked about how soon the airline can offer onboard broadband-enabled Wi-Fi connectivity, Neubronner said it depends on when the government will allow such an offering. “Weaim to provide digital connectivity, subject to regulatory approvals, on board and the introduction of wireless streaming is the first step in that direction,” he said. As many as 36 airlines offer this service on more than 800 planes now and many global studies show that three-fourths of passengers prefer to watch on their personal devices and not on the fixed screens, Belson Coutinho, vice president for marketing, e-commerce & innovations at the airline, said. Jet operates to 67 destinations using a fleet of 117 aircraft, comprising Boeing 777-300 ERs, Airbus A330-200/300s, Boeing 737s and ATR 72-500/600s.